Nestled in the dense Appalachian Mountains, West Virginia’s capital boasts rugged beauty rarely found in other cities around the country. Not only is it surrounded by an extensive natural landscape, but Charleston is also home to educational and historical attractions perfect for your next student trip. After a short time in Charleston, student travelers will find it difficult to leave this friendly, hospitable city. Students Can Visit the Elegant Capitol Building. 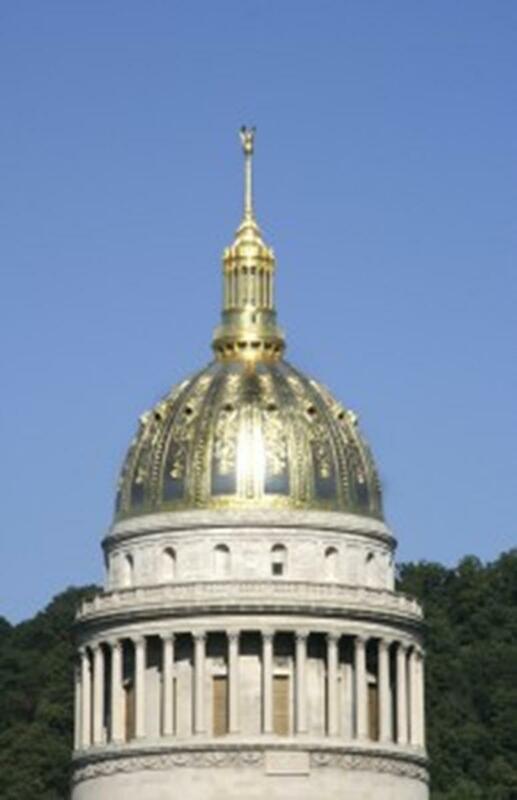 For a glance at Charleston and West Virginia history, head on over to the West Virginia State Capitol Complex. This limestone building, completed in 1932, is topped with a 293-foot gold dome. Tours of the Italian Renaissance-style structure are available to school field trips. The Cultural Center in the Capitol Complex is home to the West Virginia State Museum, which has an education lab and media room open to student groups. The Governor’s Mansion is a great example of Georgian Revival architecture, and student travelers will love touring the 30-room estate, although tours are limited since the governor and first family live there. At the 1834 Craik-Patton House student tour groups can hear the stories of its historical occupants. Charleston offers student tour groups the chance to visit some world-class museums. The Clay Center for the Arts & Sciences houses the performing arts, visual arts and sciences. Your youth travel group can catch a musical show, enjoy interactive science exhibits and watch a planetarium show, all under the same roof. Heritage Towers is a comprehensive museum dedicated to African-American history and the civil rights movement in Charleston. At the Fenton Art Glass Co. in nearby Williamstown, students can tour the old factory that creates handmade colored glass and shop for quality souvenirs in the gift shop. Much of West Virginia’s economic and agricultural history can be found in the Charleston area. South Charleston Indian Mound, the second largest Indian burial mound in West Virginia, was the site of an old village, destroyed and buried ages ago. All the skeletons and artifacts are on display at the Smithsonian in Washington D.C. Beckley Exhibition Coal Mine in Beckley gives student tour groups a chance to step in the shoes of the old coal miners with a trip 1,500 feet below ground. Your crew will get to ride in authentic “man cars” from the mine entrance to the old working areas, under the supervision of a trained coal miner, of course. Student tour groups can also wander around the coal camp, which features the company house, superintendent’s house, camp church and camp school. Charleston’s Kanawha State Forest will truly get student travelers in touch with the great outdoors. This 9,300-acre forest is a recreational haven with hiking, biking and cross-country skiing opportunities galore, not to mention a vast array of wildlife. Haddad Riverfront Park bustles with activity as boaters come and go and visitors enjoy views of the river and downtown. 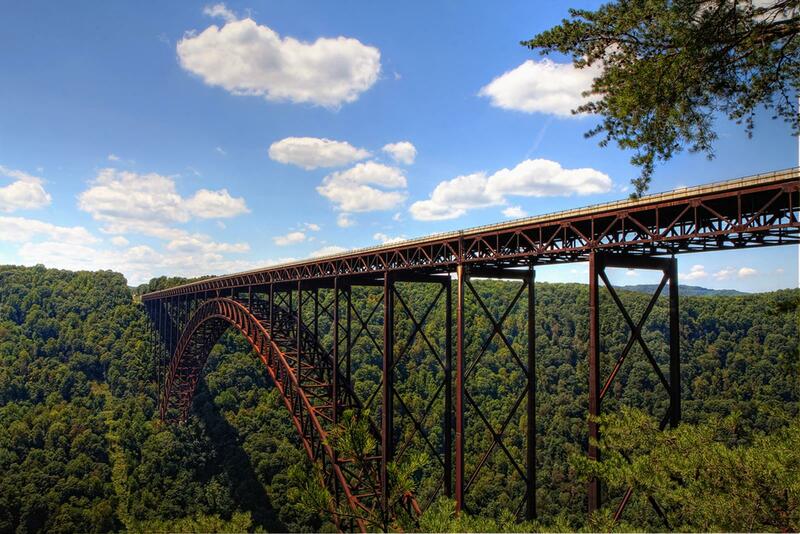 On a side trip from Charleston, student travelers can find breathtaking views of the mountainous region from the New River Gorge Bridge, which spans some 3,000 feet over New River. It’s the highest vehicular bridge in the country, and student tour groups can learn all about its construction at the visitor center, which offers a scenic overlook. The adventure continues along the New River in the 70,000-acre national park that surrounds the rapids. Student tour groups can partake in thrilling outdoor activities like whitewater rafting and mountain biking. With so much packed into a small area, Charleston can easily be navigated in a few days. Student tour groups can wander the city for a few hours and hit plenty of key sites. Charleston’s historic East End neighborhood offers a Walking Tour Guide to take your student travelers around some of the most interesting buildings in the city, including a brick office building that survived a cannonball attack during the 1862 Battle of Charleston. Student tour groups can also take sightseeing cruises along the Elk and Kanawha rivers. If your student travel group is looking to put on a show in Charleston, there are some great options. Haddad Riverfront Park has a large pavilion that seats plenty of spectators. The Capitol Market is always bustling with activity, and its outdoor marketplace has just enough room for your group to play a quick lunchtime gig. The Charleston Town Center Mall, the city’s premier shopping spot, features performance spaces like Municipal Auditorium and Macy’s Court. Charleston is known for its Golden Delicious apples and brook trout. But student travelers won’t have to go pick from the orchard or fish in the stream to enjoy these local favorites—there are plenty of restaurants that serve up some delectable dishes featuring these local staples. For a casual, quick lunch, head on over to Blossom Deli, a true Charleston landmark. It was an old ’50s soda shop that today leads a double life. For lunch, it keeps its relaxed diner feel with scrumptious sandwiches and milkshakes. At night, it transforms into a classy restaurant that serves upscale seafood dishes. For a twist on comfort food, take your crew over to Bluegrass Kitchen, an organic restaurant that serves locally grown food. Your student travel group will dive into the bourbon trout & grits and homemade meatloaf. To satisfy their sweet tooth, take your student travelers to Gram’s Specialties, a true West Virginia experience. They bake every kind of apple pie imaginable, from apple-blackberry and apple lattice to Dutch apple and apple-cranberry-orange. The Charleston area has 34 hotels and over 4,100 rooms, leaving you plenty of choices for you student travel accommodations. Not only does Charleston provide ample housing, but many of its economically priced hotels are located right downtown, so you don’t have to travel far to see all the wonderful attractions. The Hampton Inn Downtown Civic Center is situated on the west side of the city near top shopping malls and prime dining spots. It also offers reasonable student travel group rates, a complimentary breakfast and free airport shuttle. The Best Western is right near the Clay Center, providing comfortable rooms, free breakfast and a relaxing atmosphere. If these hotels do not offer low enough rates to meet your student trip budget, then venture a little further out of the city center and stay at Comfort Suites or Country Inn & Suites. Both have complimentary breakfasts, free shuttles, and indoor and outdoor pools. 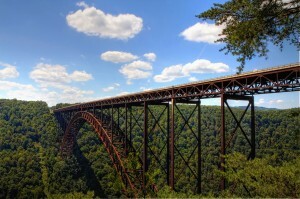 Charleston, West Virginia is an active and vibrant city hidden away amongst lush trees and sloping mountains. Its rich history and natural landscape make it a perfect escape from the everyday, a welcome retreat for any student traveler.